Artist Helaman Ferguson sculpted this piece made of silicon bronze with antique verde patina. 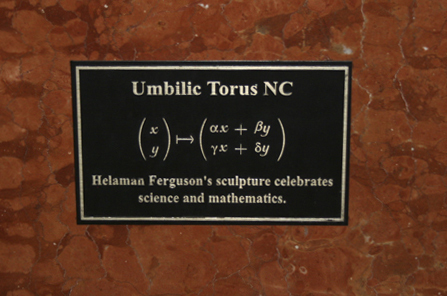 It is on display in the atrium of the Beckman Institute. Umbilic Torus NC weighs 100 lbs. and spans 27" x 27" x 9" (enveloping torus). It was completed in 1987. Not much is known about this piece. 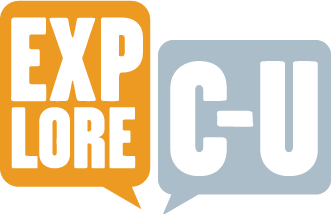 If you have any information, please contact the ExploreCU team! 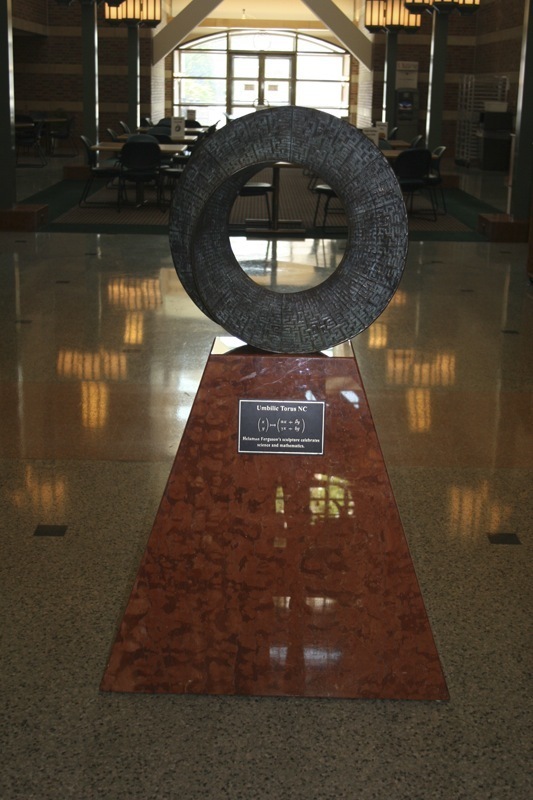 “Umbilic Torus NC, 2006,” ExploreCU, accessed April 18, 2019, https://explorecu.org/items/show/83. “Gallery | Helaman Ferguson, Sculptor.” 2016. Accessed May 13. http://helasculpt.com/gallery/.